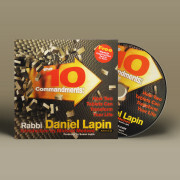 After listening to this ground-breaking Torah teaching audio CD from Rabbi Daniel Lapin you will be prepared to explain to both friends and foes why the Ten Commandments should not only be proudly displayed but why our society will suffer if they are not. iPhone/iPad Users: After you purchase this download we will send you an email with the download link. First, download this product to your computer and then use iTunes to transfer the files to your device. Enjoy! Whether or not you know Hebrew, whatever your background, you will easily follow a thought provoking and entertaining analysis. 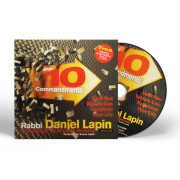 For instance, Rabbi Daniel Lapin asks a very basic question, “Why couldn’t God have written smaller and fit everything on one tablet?” You will be astonished and enlightened when you discover how every successful human relationship hinges on understanding these verses. The 10 Commandments will never again be the same for you. 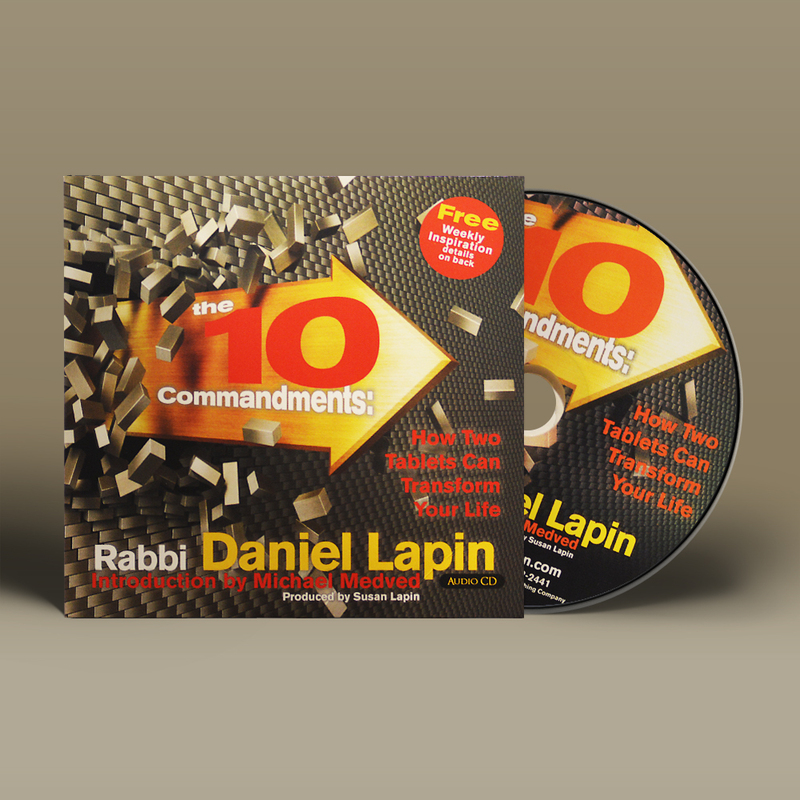 This powerful presentation will inspire and entertain you as Rabbi Daniel Lapin reveals how all our most satisfying and creative interactions flow from these vital verses. America’s families, communities, culture and future destiny all derive from the ancient secrets that pour out of 172 mysterious and monumental Hebrew words. 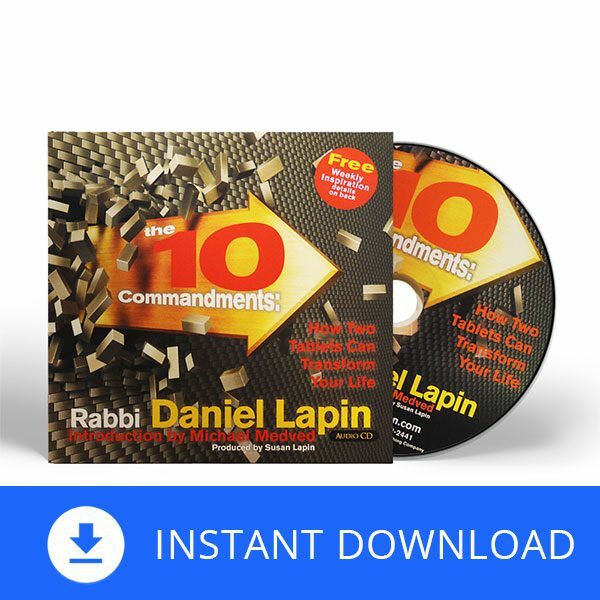 No matter whether you have studied this chapter of the Bible repeatedly or if you aren’t even sure what directives make up the Ten Commandments you will be astounded by this eye-opening teaching. Making ancient Jewish wisdom passed down from Mt. 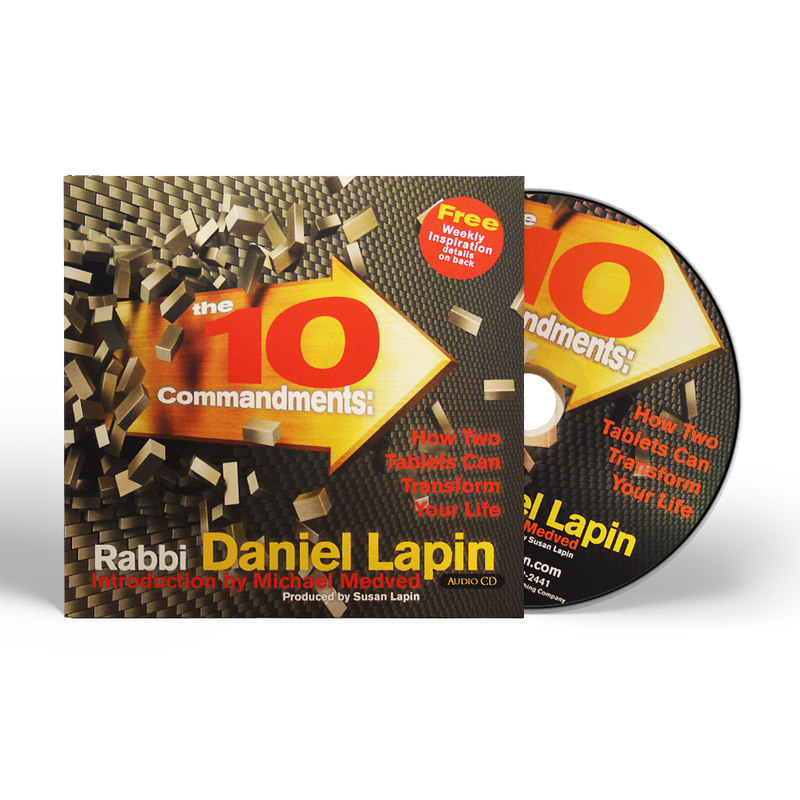 Sinai accessible, Rabbi Daniel Lapin will introduce you to the Ten Commandments in an authentically traditional but breathtakingly modern way. Are they more important than other parts of the Bible? Why must they be on two tablets?